After Zambia sent five million liters of fuel to Malawi last week, South Africa joins and furhter provides Malawi with fuel which lasts for one month. I am so grateful to the president Jacob Zuma of South Africa for providing Malawi with fuel to last one month. – Hon. Joyce Banda during the burial ceremony of Bingu wa Mutharika. When your neighbour’s house is on fire, you take a bucket of water and help in putting out the fire that’s what good neighbourlines are all about. 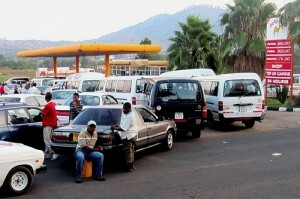 Since almost two years Malawi is facing chronic fuel shortages. The support from the neighbouring countries comes at the right time of transformation in Malawi. Besides that it strengthens the regional cooperations of the neighbouring countries.